This reef is named after the Dalila Ranch located on the shore across from the reef. 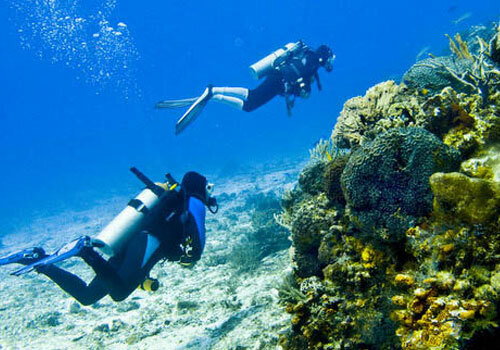 It is a shallow Cozumel Underwater Diving and is usually done as a second dive. The reef heads are 10'-20' tall and have some overhangs and small caves in them. 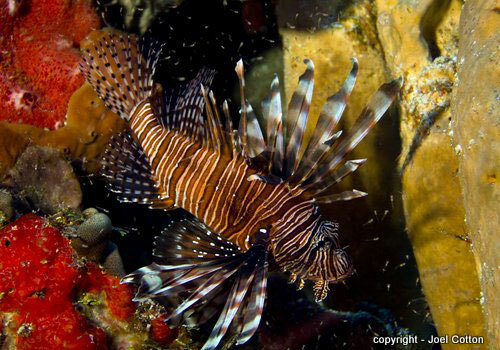 The reef is healthy and you will find a variety of sponges and coral as well as numerous Sea Rods. There are some nice schools of grunts and snappers. Look for all the varieties of Butterfly fish. You might be lucky and spot a Hamlet of some kind. Just buy Coral Reef Guide and learn more about your coral dives. You will see some Black Groupers either hunting or resting over the reef. 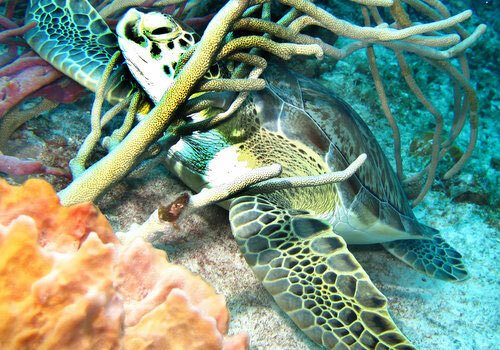 There are quite a few turtles at Cozumel Dalila Reef, and you might be lucky to spot a rarer Green Turtle, as pictured here. 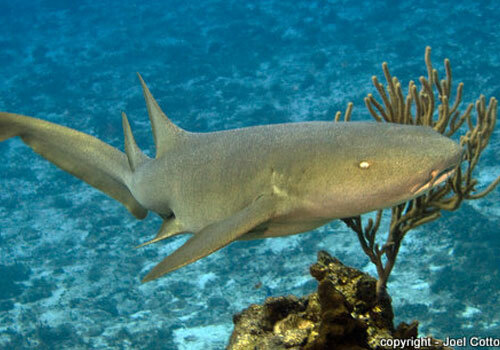 There are some Nurse Sharks that hide under the rocky overhangs or in the crevices. You might see a Spotted Eagle Ray feeding on crustaceans in the sand.